Debug build for FareBot. Also adding KMT support for another branch of FareBot (which is more stable) called Metrodroid. Since FareBot is unmaintained by its owner, we encourage you to use Metrodroid. Metrodroid	(170 downloads) Metrodroid, another fork of FareBot with many enhancement and bugs fixed. Play Store release also available here. FareBot	(58 downloads) Original FareBot, with support KMT cards. Currently there is no schedule on Play Store release. Help us to add more information on station names, or fixing wrong station data by sending us your KMT’s card data. 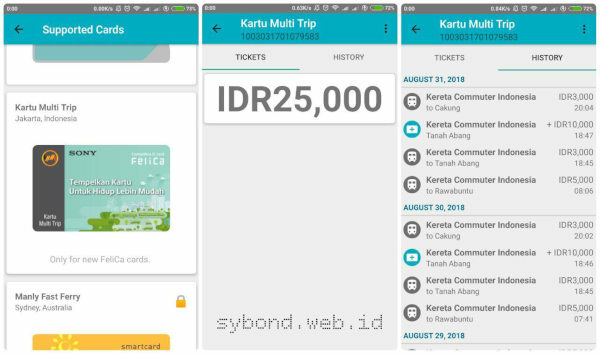 This entry was posted in featured, portfolio, Tools and tagged Android, Commuter Line, Kartu Multi Trip, NFC on 30 July, 2018 by Admin. This is a proof of concept application to read Indonesian e-KTP photographic data using NFC-enabled mobile devices (Android). Due to Google policy, this application can’t be published in Play Store. Any future application update/development will be annouced in this web page. This entry was posted in featured, portfolio and tagged Android, Play Store on 11 July, 2018 by Admin. This application will help you to sends raw APDU command to any contactless card supporting ISO-14443 using your NFC-enabled mobile device. This tool is suitable for programmer to test their NFC application. This entry was posted in Tools and tagged Android, ISO 14443, ISO DEP, NFC, Test tool on 22 November, 2014 by Admin.